About half of Americans still haven’t cut the cord. When will landlines disappear? 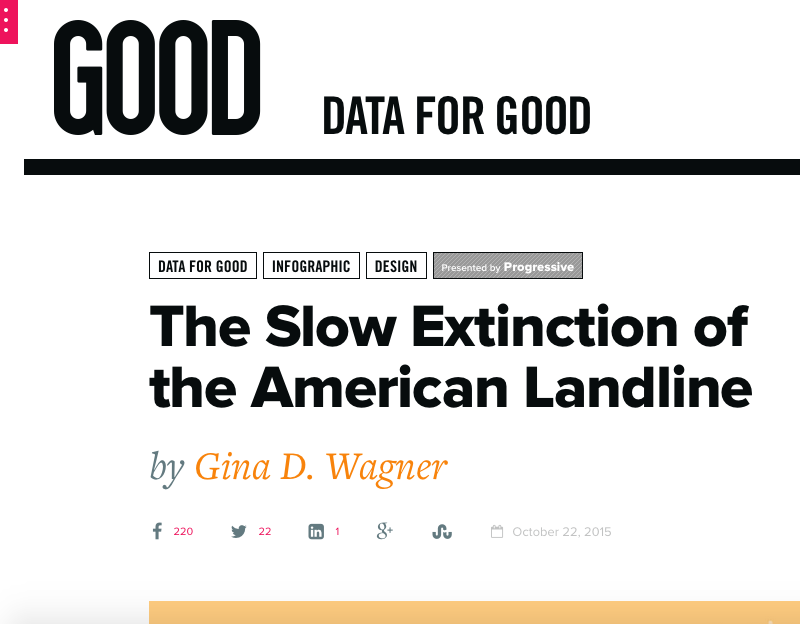 My article, “The Slow Extinction of the American Landline” seeks to answer that. Read more at GOOD magazine.